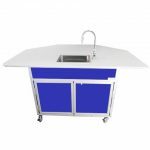 Portable Science Lab for Classrooms | Science Lab Workstations | Monsam Enterprises, Inc.
Science labs are one of those places where you most certainly need free flowing water. Even budding young scientists know that where experiments are conducted, there most certainly will be equipment to rinse and hands to be washed. At Monsam Enterprises, we offer a wide range of Portable Science Lab Workstations to suit all your science needs. 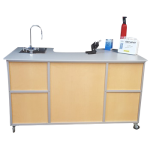 Our Portable Science Lab Workstations come complete with a fold-down table that allows you to roll the Science Lab Workstation through a standard single door allowing for it to be shared by multiple classes. The best part is that despite its’ portability, the station is still wide enough to allow students and teachers access to it as a group. We also offer an ADA Accessible Portable Science Lab, designed to accommodate a wheelchair. 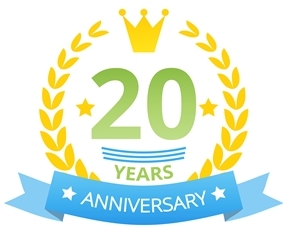 Enjoy our Portable Science Lab Workstations and avoid the need for plumbing and construction costs. Don’t be a MAD scientist, be a GLAD scientist! Order yours today by calling 1-800-513-8562.